As the killing of Boris Nemtsov slowly fades from Western media’s collective memory, an investigation into the murder of another Putin opponent, the Russian spy Alexander Litvinenko, is wrapping up in London. Both men died dramatically – Litvinenko was poisoned with radioactive polonium, dying a slow, grisly death in a London hospital, while Nemtsov was shot a mere 200 yards from the Kremlin. Both men also had a common enemy: Vladimir Putin. Horrifying and baffling murders like theirs have been hallmarks of Putin’s rule, allowing rare glimpses into the power struggles that shape Russia. Finding the patterns in these murders is essential to understanding the terrifying new era Nemtsov’s death has ushered in. 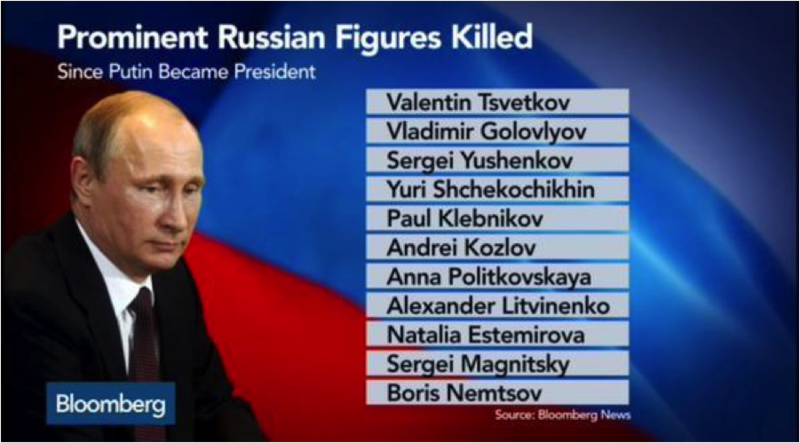 Too many Westerners see in Nemtsov’s murder just another sign of Putin’s Stalinist leanings, ignoring the basic rule of “who benefits?” Bloomberg visualized the dangers of this bias perfectly in a list of 11 “prominent Russians” killed during Putin’s 15 years in power. Of these ten besides Nemtsov, only four were killed for Putin’s direct benefit —Vladimir Golovlyov, shot dead in a 2002 contract killing, Sergei Yushenkov, killed similarly in 2003 outside his Moscow apartment, Yuri Shchekochikhin, succumbed to a mysterious illness in 2003, and finally Litvinenko, poisoned in 2006. They died because they threatened the regime’s survival, especially of Putin and his inner circle. And the powerful clique surrounding Putin are dangerous people to threaten. Drawn chiefly from the KGB and its successor, the FSB, they are dubbed the “siloviki” from the Russian word for strength and have been in Putin’s orbit for his entire career, Many argue that they are responsible for Putin’s meteoric rise to power– Putin went from the St. Petersburg mayoral office as an advisor, to head of the FSB, to deputy Prime Minster, to Prime Minister, to President in less than five years. Indeed, they demonstrated a mastery of Russian politics unknown to post-Soviet Russia. Since 1991, Russian politics had been dominated by factions of powerful people, usually alliances of oligarchs, military/security officers, and politicians fighting amongst themselves for power and money. Putin’s genius was learning to dominate this competition, incorporating the warring cliques and presiding over them — just like a Tsar and his princes. Putin’s first term as president, from 1999 to 2004, was accordingly focused on bringing Russia’s political factions to heel, especially the oligarchs and officials who remained loyal to Putin’s predecessor, Boris Yeltsin. With the authority of the Russian state and support of the security apparatus, Putin easily jailed and exiled rival oligarchs, confiscating their assets and reducing critical political parties to a rump “loyal opposition.” Those remaining quickly learned the new rules – be as corrupt or lawless as you like, but never put personal interest above the interests of Putin. Given that Putin’s system was still functionally lawless, murder remained an essential tactic in Russian politics, but could only be used when it did not threaten Putin’s government. No matter what Westerners’ delusions to the contrary, Putin cannot be a tyrant in the mold of Stalin, and in modern Russia like elsewhere, political murders are a messy, attention-grabbing affair. “Small murders,” like a nosy journalist or local activist, are generally permissible because they are easily quieted and an uproar won’t upend Putin’s government. But for the “big murders,” like killing a national figure or someone with close ties to the powerful, he must calculate the murder’s utility to his government versus the danger a public outcry or internal struggle would pose to his power. Vladimir Golovlyov, the first murder on Bloomberg’s list, illustrates this dynamic: Golovlyov co-founded the opposition party Liberal Russia with exiled oligarch Boris Berezovsky, also turning state’s witness in corruption cases involving politicians loyal to Putin. While Liberal Russia was a direct, public threat to Putin, his exposure of corruption threatened any politicians involved. 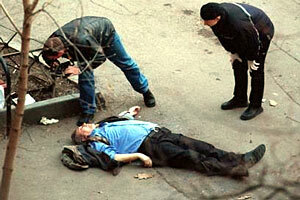 Putin does not order every high level murder, rather implicitly or explicitly permits them. If Putin and his inner circle deem someone more dangerous than they are worth, then they become fair game. But evidence, like all good evidence in Russia, is only rumor. Most of the political whispers focus on a series of apartment bombings in 1999 that killed hundreds of Muscovites and was attributed to Chechen terrorists. Promising memorably to “wipe them out in the outhouse,” Putin launched the Second Chechen War, leveling the capital Grozny and installing a loyal warlord, Ramzan Kadyrov, as governor to keep the peace. 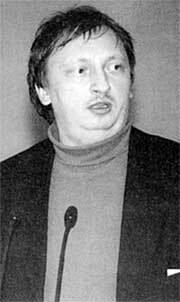 After the ailing Yeltsin presidency, Russians were thrilled to see a strong leader take the helm. Putin’s popularity soared. However, terrifying allegations soon arose that Putin’s siloviki friends had orchestrated the apartment bombings, murdering Russians and restarting a bloody war, all to cement Putin’s popularity as the new president. The oddities surrounding the investigation of the bombings have been well documented, but the Russian parliament, the Duma, rejected motions for parliamentary inquiry, predictably along party lines. 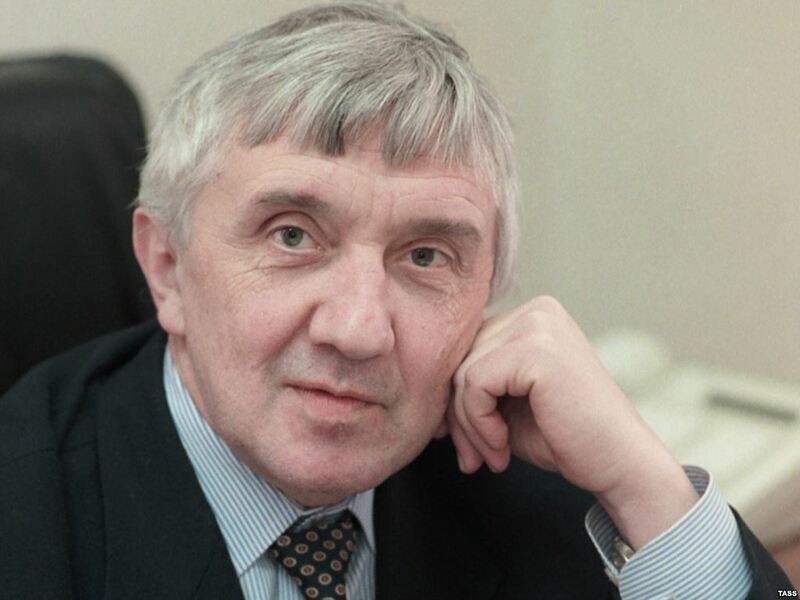 A few lawmakers in the opposition camp formed an independent commission, two of whom made it to Bloomberg’s list — Sergei Yushenkov and Yuri Shchekochikhin, killed in April and July of 2003 respectively. Like Golovlyov, Yushenkov was a member of Liberal Russia and killed in a contract hit, what the FSB might call a “wet operation.” Shchekochikhin had been a marked man for longer: in addition to investigating the apartment bombings, he helped expose a corruption ring closely tied to Putin’s FSB allies. He died of a mysterious illness while preparing to meet with FBI investigators in the U.S. Symptoms were consistent with radiation poisoning, but he was taken for treatment and autopsy at an FSB hospital, his medical records kept classified. After their deaths and the arrest of the commission’s legal counsel by the FSB, further inquiry into the apartment bombings halted. Putin and his siloviks’ sensitivities were becoming clearer: independent investigation into the government jeopardizes the secrecy Putin has built his system on. Anything that exposed a single member to charges of corruption (or treason) could sacrifice everything. That zero-sum mentality also explains the paranoia about foreign influence, whether it is the exiled oligarch Berezovsky or U.S. government agents – an opponent who can gain outside support can act independently from Putin. This mindset demands total power or expects rioters in the streets. Anything not under Putin’s control, therefore, risks everything. The theories swirling around Boris Nemtsov’s death might also be classified as that kind of inadvertent suicide. Given Nemtsov’s stature as a prominent, liberal critic of Putin, the official explanation seems out of place: two Chechen men and a group of associates killed Nemtsov for his statements condemning the Charlie Hebdo attack. 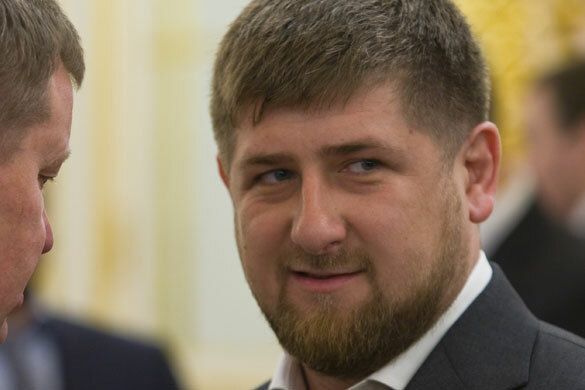 Other, smarter people have covered the problems with the official investigation better than I can here, but the result are two alternative culprits – the siloviki or Putin’s man in Chechnya, Ramzan Kadyrov. And herein lies the danger for Putin of presiding over loosely managed chaos: civil war within his own government. Putin, as a true agent, is a genius of being all things to all people, often managing conflict by setting factions against one another. Both the siloviki and Kadyrov are central to Putin’s government, but they also famously hate one another (e.g. Kadyrov once welded the doors of a local FSB office, thus imprisoning the agents out of spite). So, the thinking goes, either Putin’s siloviki killed Nemtsov in Moscow using Chechen hit men to blame Kadyrov, or Kadyrov killed Nemtsov to prove his loyalty to Putin. Delving into Kremlin intrigue can be head spinning, especially when actual evidence is scant, but understanding these theories is less important than understanding how little they matter. Instead, using past history of Putin-related killings, it’s easier to understand how Nemtsov became a permissible target – at what point did the threat he posed to the Russian government exceed the possible risk of publically killing him? Nemtsov had been Putin’s critic since Putin took office in 2000, and was no stranger to official harassment. Like previous victims, he had been an active critic of Putin, but he was shielded by broad popularity dating back to the Yeltsin years. What changed? Ukraine. Since his death, reports have come out that Nemtsov was preparing to publish details on Russian casualties in Ukraine, directly contradicting Putin’s official line that Russian servicemen have not been involved in fighting. RBC reported that Nemtsov was in talks with American congressmen to put some Russian officials on the U.S. sanctions list for human rights abuses. If either is true, Nemtsov violated the cardinal rule of Putin’s Russia – posing an independent threat to Putin’s power. Ukraine has become a central tenet of Putin’s system, as vital now to him as Chechnya was in 2000. The murder of Nemtsov is a sign that there is no going back. None of this history negates theories of Kremlin intrigue, but it should shape what we are willing to believe. Assassinations of prominent Russians follows a delicate calculus to determine the regime’s survival. While Kadyrov or the siloviki may be vying for Putin’s favor, the loyalty-obsessed Putin is likely not keen for “wet operations” in the center of Moscow without his consent. More definite is that Nemtsov’s murder reflects a growing desperation inside the Kremlin, a creeping fear that the state is more fragile than it looks. Westerners should then fear not that this is the beginning of “late Putinsim” or the end of the regime, but rather the beginning of a new phase of consolidation. If Putin and his siloviki are truly so anxious, “inadvertent suicide” may be an increasingly common cause of death for Russia’s liberals. This entry was posted in Russian Domestic Politics and tagged Kadyrov, Nemtsov, Putin, Siloviki. Bookmark the permalink.